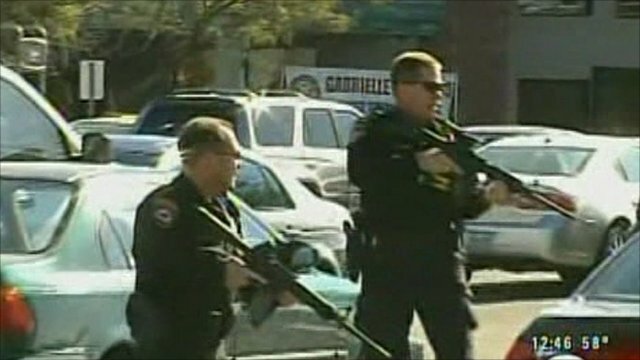 'Arizona gunman' appears in court Jump to media player A man appears in court over charges of trying to assassinate a US congresswoman in a shooting that left six people dead. A man charged with trying to assassinate a US congresswoman, in a shooting that left six people dead and more than a dozen wounded, has appeared in federal court in Phoenix, Arizona. 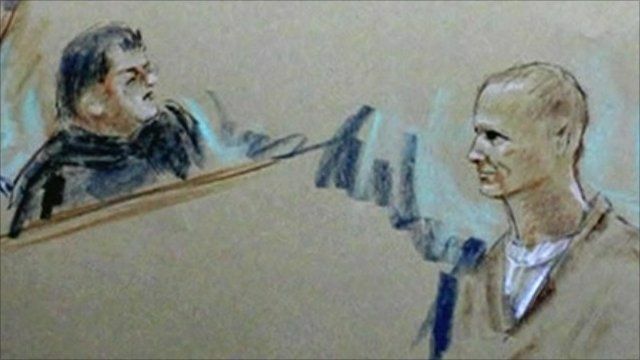 Jared Loughner, 22, faces several charges over Saturday's attack. Representative Gabrielle Giffords, who was shot in the head, remains in a critical condition but doctors say the swelling in her brain has stabilised. Among the dead were a nine-year-old girl and a federal judge. The BBC's Washington Correspondent Iain Mackenzie reports.